The company is more concerned with being boring. We have been begging Nissan to update its 370Z sports car. Even though the car has been on the market since 2008, it still has an old school charm that some more expensive sports cars lack. The Nismo version was a bit of an upgrade, but the latest Heritage Edition is nothing more than an appearance change to keep the car around another year without a refresh before a replacement finally arrives. 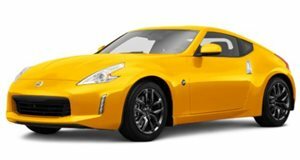 Unfortunately, there have been some "less than exciting" rumors that the next Z car could be a hybrid or a crossover, which would be a travesity. Now, the latest 370Z successor news has taken an even darker turn. At a roundtable discussion at the New York Auto Show, Christian Meunier, senior vice president at Nissan Sales said that “The 370Z is not a priority for us." He went on to say “I hope we can make a successor.” Nissan is really playing this one close to its chest, but we think there are two scenarios that could play out here. Either Nissan has something really special in the works to replace the 370Z, like Ford did with the secret development of the GT. Or, the more likely scenario is that Nissan won't replace the 370Z at all and instead go down the same path as Mitsubishi with the much maligned Eclipse Cross. Nissan has been doing well with millennials thanks to its strong crossover portfolio. However, in order to keep up this progress, Nissan may abandon its enthusiast fans. We have no idea what this means for the next-generation GT-R, but the 370Z might not get a replacement.